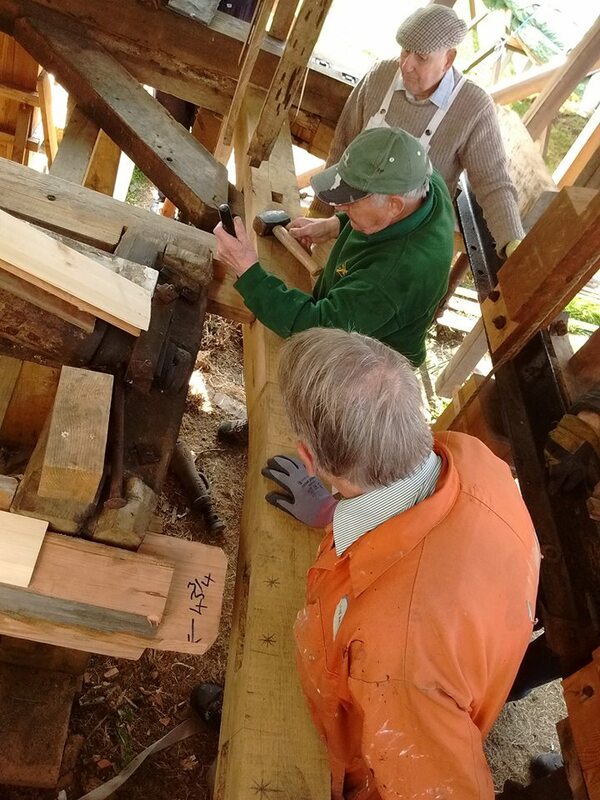 An exciting day last Friday as volunteers started the installation of the new tail beam, this is the first step in reassembling the mills cap. When the original beam was extracted it was found to be beyond saving after suffering over 200 years of wood worm and exposure to the elements. Even though it couldn’t be saved, it enabled volunteers to create and accurate pattern to construct the replacement beam out of a section of oak. Once the its finally fixed onto place, the fail tail staging will be the next thing to be installed.